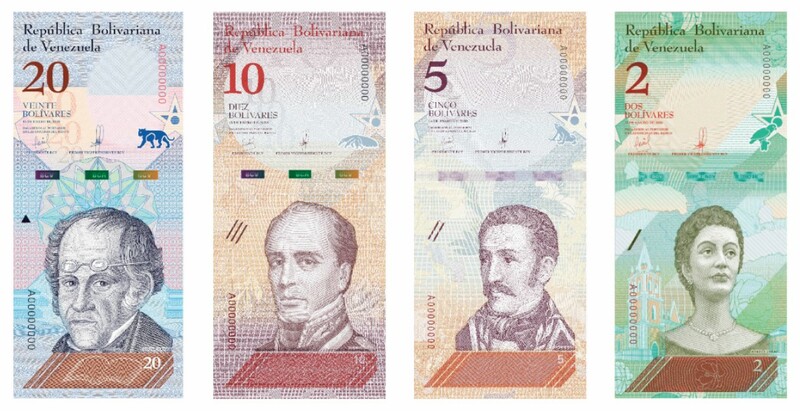 The Banco Central de Venezuela has confirmed (25th July) that, per the instructions of President Nicholas Maduro, newly revalued banknotes will be issued which will see five zeroes removed from the “bolívar fuerte,” which was introduced in 2009 by the previous president, the late Hugo Chavez. In an effort to combat a staggering level of inflation, which has been documented by the International Monetary Fund to have now reached one million percent, the value of Venezuela’s national currency is now eaten away day by day. The Central Bank initially planned to remove just three zeroes with the issue of the new banknotes, but delayed their introduction, and have now decided to commence with five zeroes — taking into consideration the increasing level of inflation the country is experiencing. 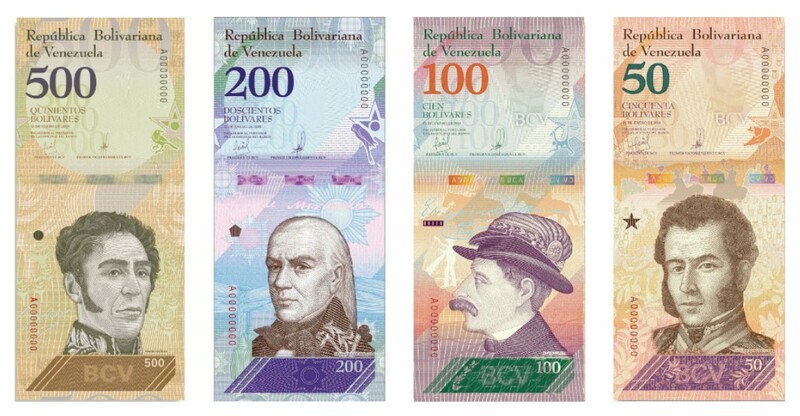 The country’s socialist president has announced that the new currency to be introduced will be renamed the “bolívar soberano,” or sovereign bolívar. As a measure to guarantee some value to the new currency, President Maduro has actually signed over one of the largest parcels of oil reserves in Venezuela to the Central Bank, with Maduro describing the move as a measure to “anchor” the bolívar soberano. The decree to assign the Orinoco Oil Belt’s Ayacucho 2 Block to the Central Bank as a way of bolstering its international reserves is believed to contain 29.3 billion barrels of oil. The South American country, which is perhaps one of the richest in terms of having the largest oil reserves in the world, has suffered from a stagnating economy and rampant inflation since the initial introduction of a socialist model of economics which introduced substantial subsidies and controlled consumer prices. As a result, industry and manufacturing has all but ceased since the country’s producers cannot buy raw materials from outside their country, as Venezuela’s hard currency reserves have dwindled to near zero. These failed economic conditions along with falling oil prices and the death of Hugo Chavez, the charismatic leader of the Venezuelan socialist movement, have all converged to deepen the economic woes of Venezuela. The evidence of the rampant inflation was clearly seen on the streets of the capital city Caracas when banknotes were literally thrown out in the garbage or left on the ground to litter the city. Just one year ago, a café con leche (coffee with milk) would have cost about 2,300 bolívars. Now you will have to pay around 2,000,000 (U.S. $0.57) taking into consideration the unofficial exchange rate of more than 3,500,000 bolívares fuertes equalling one U.S. Dollar. With an official rate of just about 35,000 bolívars (and if the new currency takes effect), the new Central Bank exchange rate will stand at what may be regarded as an unsustainable level of U.S. $2.85 per bolívar soberano. The new banknotes are planned for introduction in August of this year and are essentially re-designs from the vertically themed banknotes introduced in 2009. Originally issued in denominations of two to 100 bolívares fuertes (which replaced the previous series of inflation-ridden bolívars), these denominations were later replaced with inflation-plagued values of 500 to 100,000 bolívares fuertes toward the end of 2016. For additional information on the Venezuelan bolívar soberano, please visit the website of the Banco Central de Venezuela.